Superintendent Tim Forson, along with School Board Chair Bill Mignon and School Board Member Bev Slough, as well as school district staff and representatives from INK!, The Players, Beaver Toyota and Carlyle paid a surprise visit to the Teacher of the Year finalists at their schools. This year, the finalists were also treated to a visit from a very special guest, Bucky the Beaver. The finalists are Amy Grimm from Julington Creek Elementary School (JCES); Kathleen Hunting from Osceola Elementary School (OES); Jonathan Higgins from Pedro Menendez High School (PMHS); and Chassity Johnson from Sebastian Middle School (SMS). Amy Grimm is a first-grade teacher at JCES and a mentor to other teachers who considers it her responsibility to model being a leader to her students. She believes in developing and supporting the whole child and takes a thematic approach in her classroom. It is not uncommon for her to also be seen at her students’ extracurricular activities supporting and cheering them on. She has 22 years of teaching experience all within the St. Johns County School District (SJCSD). Her message to fellow teachers is that what they do matters and they are loved, capable and important each and every day. Kathleen Hunting teaches second grade at OES and is a school wide leader in technology who loves sharing what she learns with her students and colleagues. She is continually inspired by her students and has the privilege of seeing them grow emotionally and academically each day. At OES, she has served as a Girls on the Run coach for the past six years to help third through fifth grade girls be positive and become strong, independent leaders. She has six years of teaching experience all within the SJCSD. Her message to students is that the only reason she exists in the school setting is to provide a safe and nurturing academic environment for them. Jonathan Higgins is an IB Psychology teacher for 11th and 12th grade students and was instrumental in creating the IB program at PMHS. Student and parent praise are what drives him as an educator and reminds him that doing what is in his heart is far more important than a numerical score. He has nine years of teaching experience all in the SJCSD. His message to others is to focus on the aspirations of each student, regardless of his/her academic ability and that all students should be afforded the opportunity to participate in advanced courses or various programs of study if they desire regardless of their skills and abilities. The annual Teacher of the Year and Rookie Teacher of the Year Celebration is produced by the INK! to recognize excellence in the teaching profession. For more information on INK visit https://ink-stjohns.org/. Tiffany Cantwell, assistant principal at The Webster School, has been selected by Superintendent Tim Forson to be the principal of Ocean Palms Elementary. 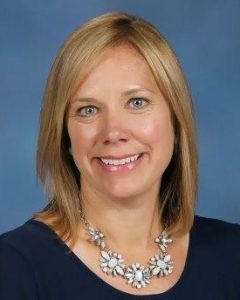 She will replace Jessica Richardson who was approved by the school board earlier this month as the principal of K-8 school “KK” currently being constructed at 2135 Palm Valley Road, Ponte Vedra, 32095. Her nomination will be presented to the school board at their January 9 meeting. Catherine (Peralta) Goodrich, assistant principal at Palencia Elementary School (PES), has been selected by Superintendent Forson to be the principal of PES. She will replace Allen Anderson who was approved earlier this month as the principal of K-8 school “LL” currently being constructed at 1365 Shetland Drive, St. Johns, 32259. Her nomination will be presented to the school board at their January 9 meeting. Cantwell is currently serving the district as its Outstanding Assistant Principal for the 2017-2018 school year. She has over 16 years of educational experience joining the St. Johns County School District (SJCSD) in 2001 as a fourth-grade teacher at Cunningham Creek Elementary. She went on to teach at PVPV/Rawlings Elementary and became the curriculum resource coordinator there. In 2013, she was appointed as assistant principal at The Webster School. As an assistant principal, Cantwell has developed and guided a team to review and create a standards-based grading policy and served as a mentor to other assistant principals. Her love of professional development has spurred her to form a leadership cadre, perform technology demonstrations and create professional learning communities for paraprofessionals and new teachers. Cantwell holds a bachelor’s degree from St. Thomas University in Miami and a master’s degree from the University of North Florida. Goodrich started her educational teaching career over 25 years ago. She joined the SJCSD in 2005 as a second-grade teacher at Timberlin Creek Elementary. She served as the instructional literacy coach there before becoming its assistant principal in 2010. In 2013 she was named the assistant principal at Osceola Elementary and served there for two years before joining the SJCSD Human Resources Department as the employee evaluation coordinator. In 2016 she became the assistant principal at PES. Her passion is helping others to develop their full potential to best serve the students of St. Johns County, and her experiences have included the opportunity to train, coach, observe and evaluate employees. She has also served students in the areas of developing math curriculum mapping at the district level and as a mentor to both elementary and high school age children. Goodrich holds a bachelor’s degree from Florida State University and a master’s degree from the University of North Florida. Allen Anderson, principal at Palencia Elementary School (PES), has been selected by Superintendent Tim Forson to be the principal of K-8 school “LL” currently being constructed at 1365 Shetland Drive, St. Johns, 32259. His nomination will be presented to the School Board at their December 12 meeting. Anderson has been the principal of PES since the 2013-2014 school year and has more than 20 years of experience within the SJCSD. Prior to PES he served as principal at Cunningham Creek Elementary (CCES), assistant principal at Mill Creek Elementary and Durbin Creek Elementary schools, a curriculum coordinator at Switzerland Point Middle School and a teacher at CCES. PES has expanded its digital instruction and student use under Anderson’s leadership. He has made maintaining a positive school culture a high priority and ensures that state and district mandates are communicated in a way that supports the school’s mission and vision. He is extremely supportive of his staff and always lauds their successes, even when they won’t. 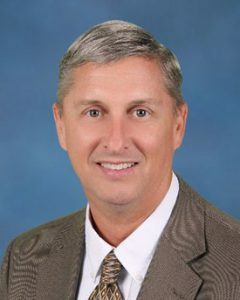 Anderson was recently chosen as the 2017-2018 Principal of the Year for St. Johns County. He holds a bachelor’s and master’s degree from the University of North Florida and a master’s degree from Jacksonville University. Forson will gather input from staff and the community for the new principal of PES on Thursday, Dec. 7 at 3:30 p.m. at PES. Jessica Richardson, principal at Ocean Palms Elementary School (OPES), has been selected by Superintendent Tim Forson to be the principal of K-8 school “KK” currently being constructed at 2135 Palm Valley Road, Ponte Vedra, 32095. Her nomination will be presented to the school board at their December 12 meeting. Richardson started her teaching career in St. Johns County 18 years ago and joined Ocean Palms as principal in 2014. Prior to this she served as the assistant principal at Cunningham Creek Elementary. She also taught second, third and fourth grade and served as an instructional literacy coach. Before joining CCES she worked at PVPV/Rawlings Elementary School and Ocean Palms Elementary School, where she held her first position with the district as a third grade teacher. Meeting the social, emotional and academic needs of each student, every day is paramount to Richardson. Creating and cultivating a school environment where students can find personal success and embark on educational experiences that will shape their future is a priority of her service-oriented leadership model. “I am very enthusiastic about continuing my professional journey alongside the students, staff, and families in Northeast St. Johns County,” said Richardson. Richardson was named St. Johns County Assistant Principal of the Year in 2013. She holds a bachelor’s degree from the University of North Florida and a master’s degree from Grand Canyon University. Forson will gather input from staff and the community for the new principal of OPES on Wednesday, Dec. 6 at 3 p.m. at OPES. The St. Johns County School District announces the schedule of 2018 graduation ceremonies for St. Johns County high schools and First Coast Technical College (FCTC). The St. Johns County School District is seeking comments on the proposed 2019-2020, 2020-2021, 2021-2022 school calendars. Survey links are now available on the school district website for community members to provide input on the calendars. The survey links can be accessed at http://www.stjohns.k12.fl.us/calendar/proposed/ or on the school district’s home page. Individuals are encouraged to submit any ideas, suggestions or concerns about the proposed calendars. Feedback will be collected through Friday, October 27. The final Town Hall meeting to discuss Attendance Zoning changes for the two new K-8 Schools will be held Monday, September 25 at 6 p.m. at First Coast Technical College, Character Counts Conference Center/Building C, located at 2890 Collins Ave., St. Augustine, FL 32084. These K-8 Schools are currently under construction and opening for the 2018-2019 school year. K-8 School KK is located at 2135 Palm Valley Road, Ponte Vedra, FL, 32081 and is being constructed using monies from the school impact fees, school proportionate share mitigation fees and the half-cent sales tax passed in November 2015. K-8 School LL is located at 1365 Shetland Drive, Saint Johns, FL, 32259 and is being constructed using monies from half-cent sales tax. Other possible attendance zone changes relate to Heritage Park located off of Woodlawn Road and the Sawmill Lakes development located off of SR 207, both in St. Augustine. There will be an opportunity for the public to provide comment. School Board members and district staff will be in attendance. At this time, the proposals impact the current attendance zones and students at Cunningham Creek Elementary, Durbin Creek Elementary, Fruit Cove Middle School, Alice B. Landrum Middle School, Otis A. Mason Elementary School, R.J. Murray Middle School, Ocean Palms Elementary, Palencia Elementary School, Pacetti Bay Middle School, Patriot Oaks Academy, Sebastian Middle School, Switzerland Point Middle School and Valley Ridge Academy. This meeting takes the place of the meeting originally scheduled for September 14 but canceled due to Hurricane Irma. Three Town Hall meetings have been scheduled to discuss potential Attendance Zoning changes for the two new K-8 Schools currently under construction and opening for the 2018-2019 School Year. K-8 School KK is located at 2135 Palm Valley Road, Ponte Vedra, FL, 32081 and is being constructed using monies from the school impact fees, school proportionate share mitigation fees and the half-cent sales tax passed in November 2015. K-8 School LL is located at 1365 Shetland Drive, St. Johns, FL, 32259 and is being constructed using monies from half-cent sales tax. Other possible attendance zone changes relate to Heritage Park located off of Woodlawn Road and the Sawmill Landing development located off of SR 207, both in St. Augustine. The same information will be discussed at all three meetings. School Board members and district staff will be in attendance and there will be opportunities for public comment. Proposals are currently being developed and could impact attendance zones and students at Cunningham Creek Elementary, Durbin Creek Elementary, Fruit Cove Middle School, Alice B. Landrum Middle School, Otis A. Mason Elementary School, R.J. Murray Middle School, Ocean Palms Elementary, Palencia Elementary School, Pacetti Bay Middle School, Patriot Oaks Academy, Sebastian Middle School, Switzerland Point Middle School and Valley Ridge Academy. The St. Johns County School District (SJCSD) will hold its annual College and Career Night Wednesday, September 6 from 5 – 7:30 p.m. in the gymnasium at St. Augustine High School located at 3205 Varella Avenue, St. Augustine. College and Career Night provides an excellent opportunity for St. Johns County high school students from both public and private schools to receive firsthand information on post-secondary educational opportunities. Representatives from over 75 colleges, universities, armed services, career institutes and trade schools will be available from 6 – 7:30 p.m. Families will find an increased presence of representatives with a focus on meeting their student’s diverse needs and expectations. The latest information on topics such as the college admissions process, college transition, scholarship and financial aid will also be available during information sessions from 5 – 7 p.m. While this event traditionally focuses on juniors and seniors, underclassmen are also encouraged to attend. Many colleges have very selective admissions criteria and students should start planning early. The event is presented by the SJCSD Department of Guidance and Programs of Choice. For more information, please contact your school’s guidance department, visit the website at www.stjohns.k12.fl.us/gpc/college/ or call Dana Chapman, Dept. of Guidance and Programs of Choice, at (904) 547-7754. Our teachers and staff have anxiously awaited your children’s arrival and we are excited to begin the year with each and every one of them. In and out of the classroom, this year promises to be one filled with new and exciting learning experiences for students. Our administrators, teachers, and staff are prepared to provide instruction that supports a positive learning environment and build on opportunities that motivate students based on the six pillars of CHARACTER COUNTS! This school year also features the opening of Picolata Crossing Elementary and the expansion at Nease High School. The work of staff and school administration to get these facilities ready is nothing compared to the enthusiasm and delight students showed this morning upon arrival. I am thankful and humbled to serve as your superintendent and this is just the beginning of a wonderful 2017/2018 school year for your child and your family. The student count for the St. Johns County School District (SJCSD) on opening day, August 10, was 36,253, an increase of 1,347 students or 3.85 percent over last year’s first-day number of 34,906. St. Johns County has continued to be one of the fastest growing school districts in the state. The high school student count was 11,509 with 2,453 students at Bartram Trail High School; 2,107 at Creekside High School; 1,324 at Pedro Menendez High School; 2,248 at Allen D. Nease High School; 1,739 at Ponte Vedra High School and 1,638 at St. Augustine High School. There were also 262 students in attendance at St. Johns Technical High School. Middle school attendance totaled 7,426, with student headcounts ranging from 634 at Sebastian Middle School to 1,429 at Pacetti Bay Middle School. The other first day figures were Alice B. Landrum Middle School with 1,255; Fruit Cove Middle School with 1,162; R. J. Murray Middle School with 758; Gamble Rogers Middle School with 873 and Switzerland Point Middle School with 1,315. The district’s K-8 schools totaled 4,369. Liberty Pines Academy had a first-day headcount of 1,424; Patriot Oaks Academy with 1,453 and Valley Ridge Academy with 1,492. The elementary school population totaled 12,344, which included students attending the district’s new elementary school Picolata Crossing. This count only includes approximately 25 percent of all kindergarten students since schools stagger the kindergarten start date over a four-day period. Another 207 students are enrolled at the district’s alternative, charter and Department of Juvenile Justice (DJJ) schools. First Coast Technical College has 238 students enrolled in its adult education programs at the St. Augustine, Palatka, Barge Port and North campuses. This number does not include those students enrolled in night programs that start today. Today was a great first day. The dedication, time and effort that was put into preparations this year was proven in the smiling, happy students who walked through our doors today. I could not be more pleased with our principals, teachers and staff who enthusiastically stood ready to support and instruct each and every child. Transportation, food service, custodial and maintenance staff did a stellar job in handling challenges and celebrating success realized on the first day. The St. Johns Sheriff’s Office, Public Service Assistants and Crossing Guards were incredible in supporting our operations. Lastly, I want to say a huge thank you to our parents and families as we manage the beginning of the school year. SJCSD staff will continue to monitor attendance numbers, balance classrooms and refine bus routes throughout the week. Persons with disabilities who require alternative means of communication for program information (e.g. Braille, large print, audiotape, American Sign Language, etc. ), should contact the Agency (State or local) where they applied for beneﬁts. Individuals who are deaf, hard of hearing or have speech disabilities may contact USDA through the Federal Relay Service at (800) 877-8339. Additionally, program information may be made available in languages other than English.